Microsoft India and Apollo Hospitals has announced the launch of the first ever AI-powered Cardiovascular Disease Risk Score API (application program interface), designed specifically to predict the risk of Cardiovascular Disease (CVD) in the Indian population. Doctors across the Apollo network of hospitals can now leverage this AI-powered API to predict risk of CVD and drive preventive cardiac care across the country. According to the National Family Health survey (http://rchiips.org/nfhs/) by the Union health ministry, one in every eight Indians suffers from high blood pressure. Despite the enormous number of cases, doctors in India are unable to identify the probability of cardiovascular disease, while there are various CVD risk models available worldwide, these do not cater specifically for the Indian population. Built on Microsoft Azure, this API aims to determine a more accurate CVD risk score for the Indian population. It has been developed using a combination of applied AI and clinical expertise on a large sample of retrospective data on health checks and coronary events. The scoring considers risk contributors including lifestyle attributes such as diet, tobacco & smoking preferences and physical activity as well as psychological stress & anxiety as reflected via rate of respiration, hypertension and systolic & diastolic blood pressure. The score categorizes risk into high, moderate and minimal and also provides insights on the top modifiable risk contributors, thereby assisting physicians to consult patients in a more holistic way, while providing insights to patients for lifestyle modification and timely interventions. “We believe in the impact technology can have, specifically how Microsoft AI, Azure and collaboration with our partners like Apollo, can come together and transform the healthcare sector. 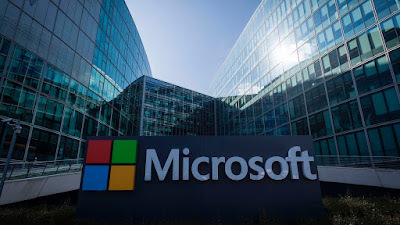 This heart risk score for Indian populace is a true example of how precision healthcare can accelerate prevention of cardio vascular disease and reduce disease burden,” said Anil Bhansali, managing director, Microsoft India (R&D) Private Limited. The risk score model continues to be validated across multiple private and public health systems. Apollo and Microsoft are also engaging global consortium partners to calibrate and scale this intelligent system for other population groups. Microsoft AI Network for Healthcare aims to maximize the ability of artificial intelligence and cloud computing to accelerate innovation in the healthcare industry and improve the lives of people around the world. Introduction of this intelligent system in partnership with Apollo Hospitals is a huge step in this journey.